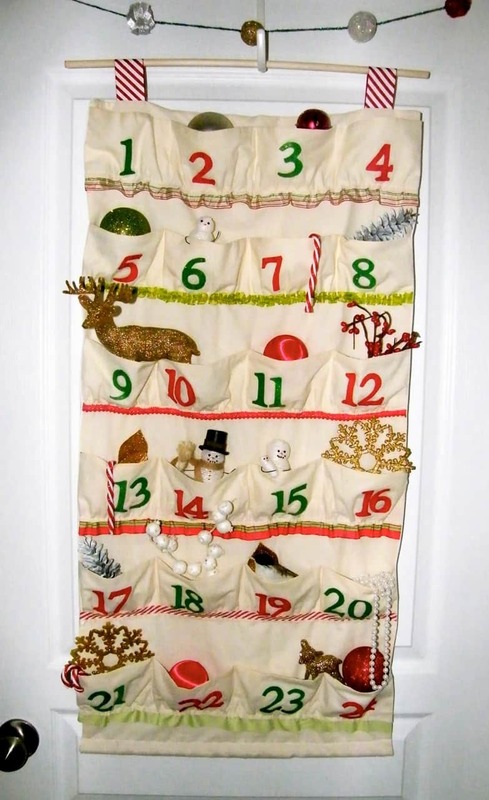 ADVENT time is nearly here!!! Hi Folks! My craft fair circuit is over for the year, I’m jumping for joy right now as I need a week to relax my brain, and my glue gun burnt/ stick pin pricked fingers for a week before Holiday catering season gets into full swing! I attended the Somerset Craft fair yesterday and what a great day! I moved some stuff out and shared my crafty love with folks from all over the Valley (If you found your way here from stopping by my booth Thank you very much!) At the fair my neighbour booth was ‘Sew Cute By A&A’ and let me tell you their company name really sums it up, they have the cutest baby stuff and these owls you just can’t get enough of (even adults were buying them for themselves), you should check out their FB page Sew Cute By A&A. Now that Christmas is right around the corner I couldn’t wait to show you a few of my favorite pieces. 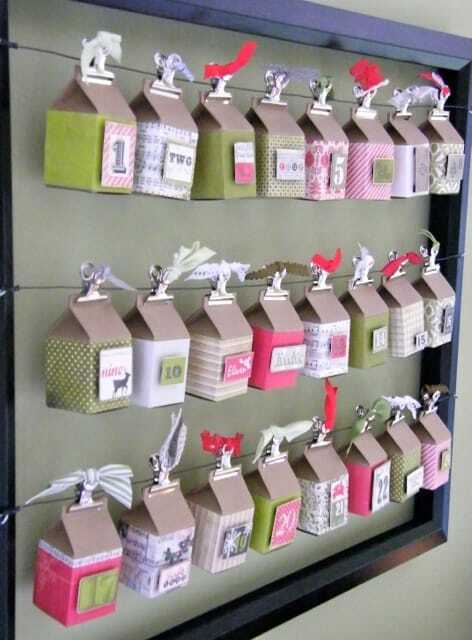 Today I’m going to share some advent calendars I created. I hope you like! I picked up the frame for this project at Michael’s and used Wire, eye hooks, and binder clips from the Dollar store. 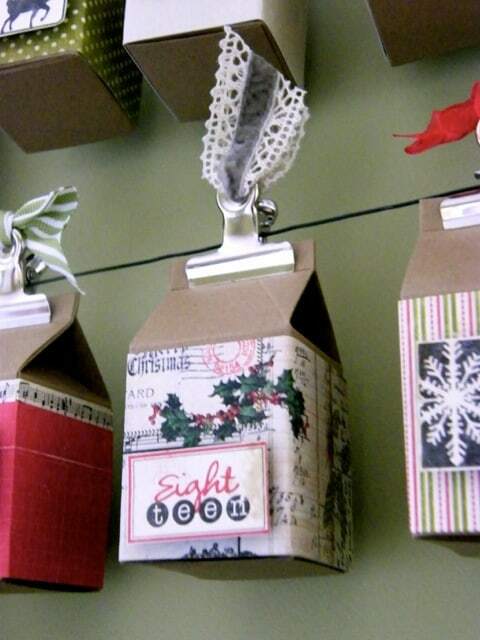 The boxes are cut using the Stampin’ Up Milk Carton Die and Kraft card stock. These B-eautiful pattern papers are from Authentique. 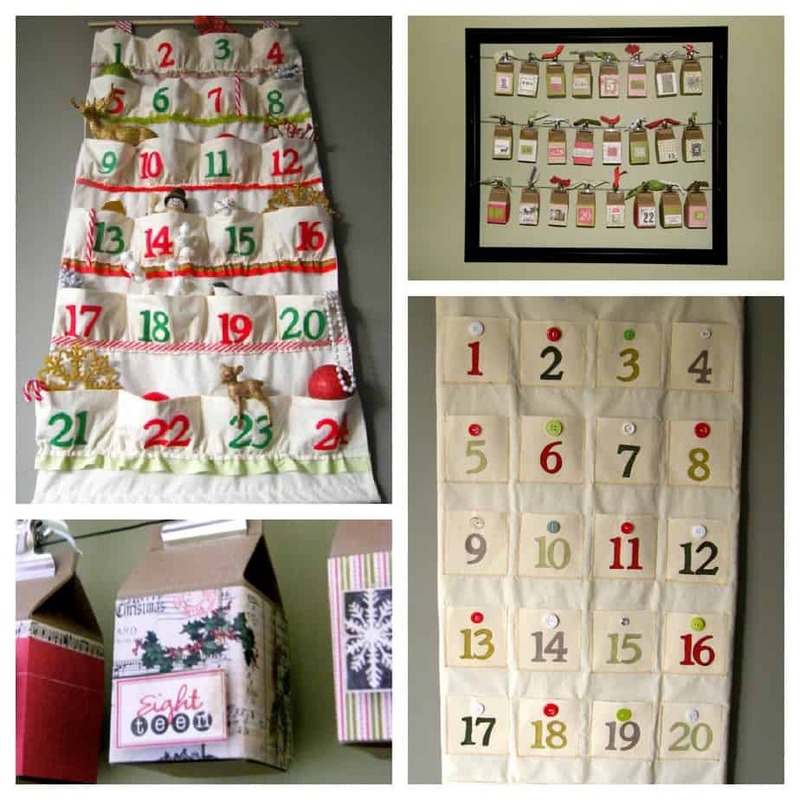 I used their 6×6 festive ‘bundle’ which includes these yummy holiday papers and the number sheet! 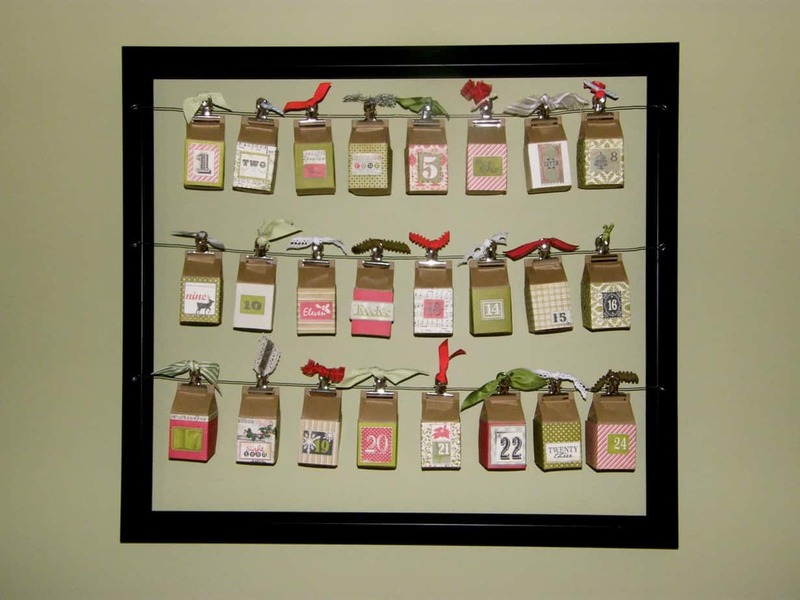 The clips are adorned with holiday colored ribbons from May Arts. 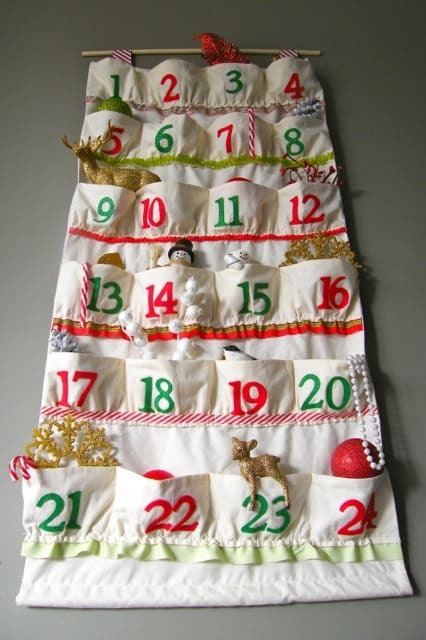 For this advent calendar I sewed the base using muslin. I ruched the pocket fabric to give more space for treats. The numbers are cut from felt using a template I made with the cricut, and ironed them on using fusible web. The bottom of the pockets are trimmed with May Arts ribbons. 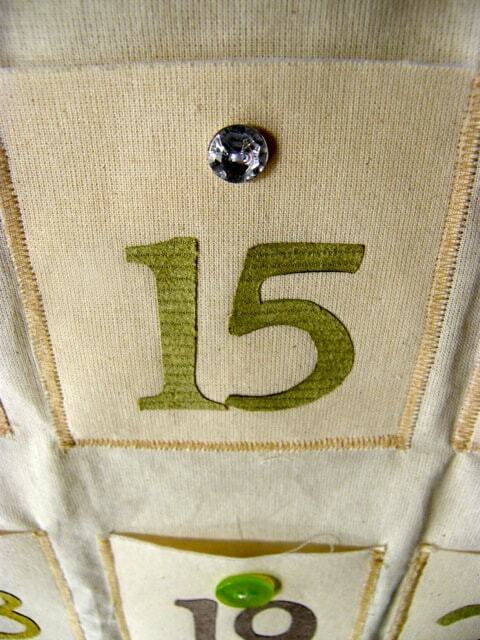 This next calendar is plain and simple, again sewed with Muslin. However, this one the numbers are cut from a suede fabric sample book I got from my friends at Dempsey’s Custom Upholstery. 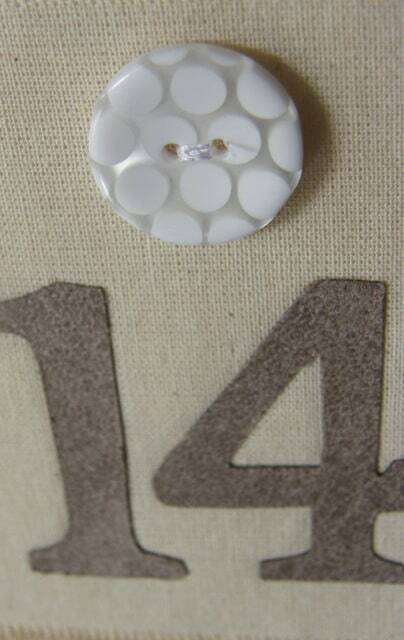 Each pocket is decorated with a different button. 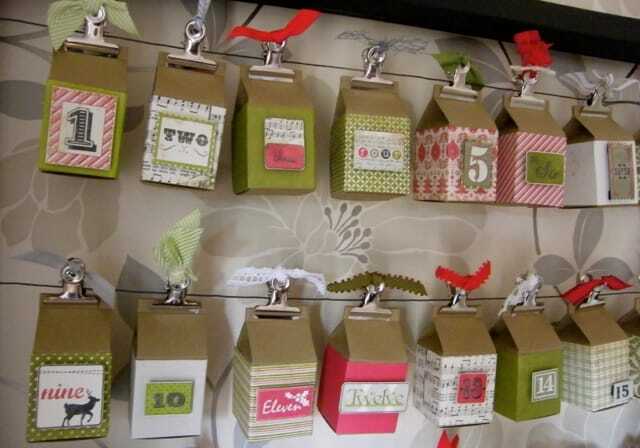 I hope you liked my Holiday Advent Calendars. We’ll soon be setting ours up! Whats up next on Fynes Designs? A May Arts/ Helmar Blog Hop!! Be sure to check back on Tuesday and leave a comment to win some great prizes!! 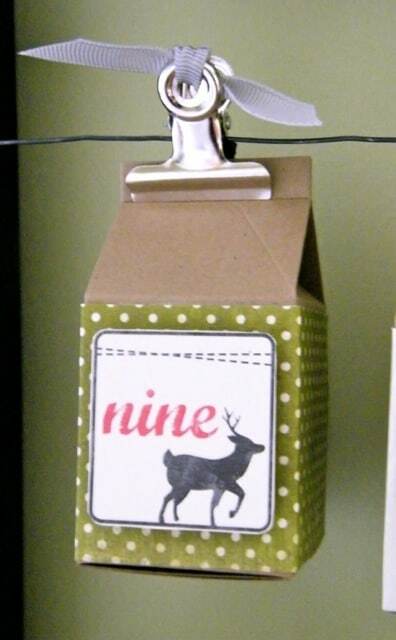 I love the milk carton calendar. May have to try that this year. Thanks for the post.